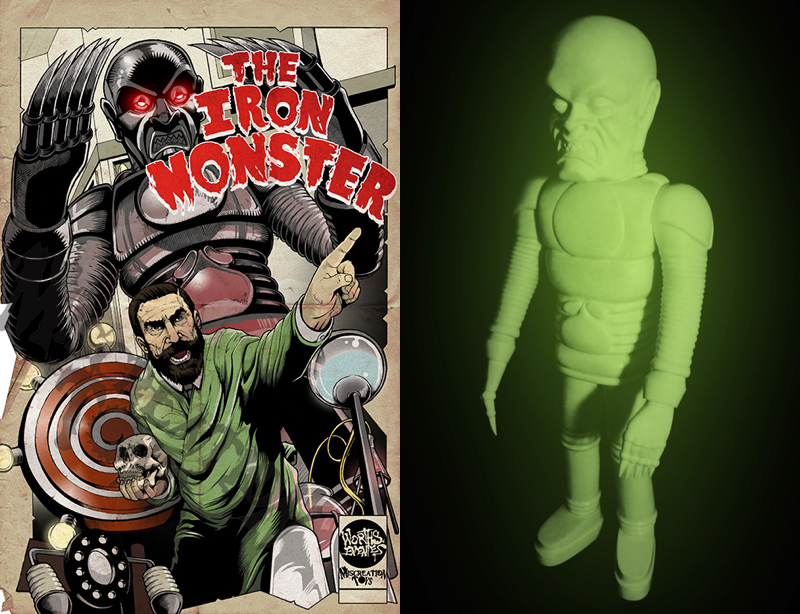 Jeremi Rimel over at Miscreation Toys has just unexpectedly released an all-new unpainted colorway of the Iron Monster sofubi in his store! 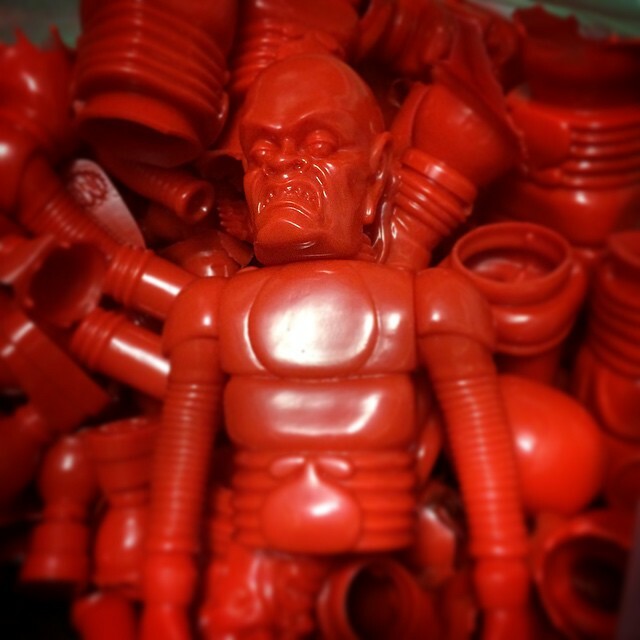 Inspired by Dr Zorka’s robot in the 1939 scifi/ horror B-movie serial “The Phantom Creeps”, the towering 15″ figure was designed by Rimel, digitally sculpted by iamscumbag and produced in Japan courtesy of Grody Shogun. 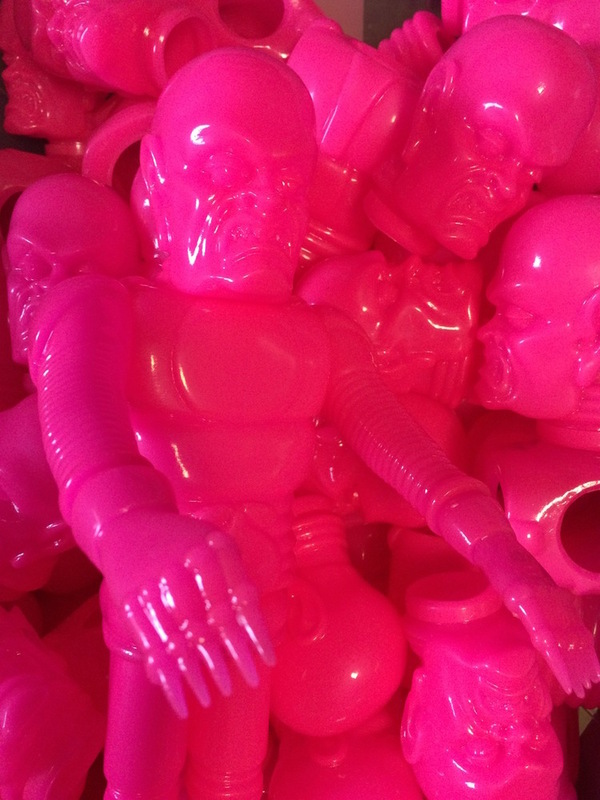 Dubbed the “Pretty in Pink” edition, the beast has been cast in a retina-melting hot pink soft vinyl this time around, coming in at $150 plus shipping. 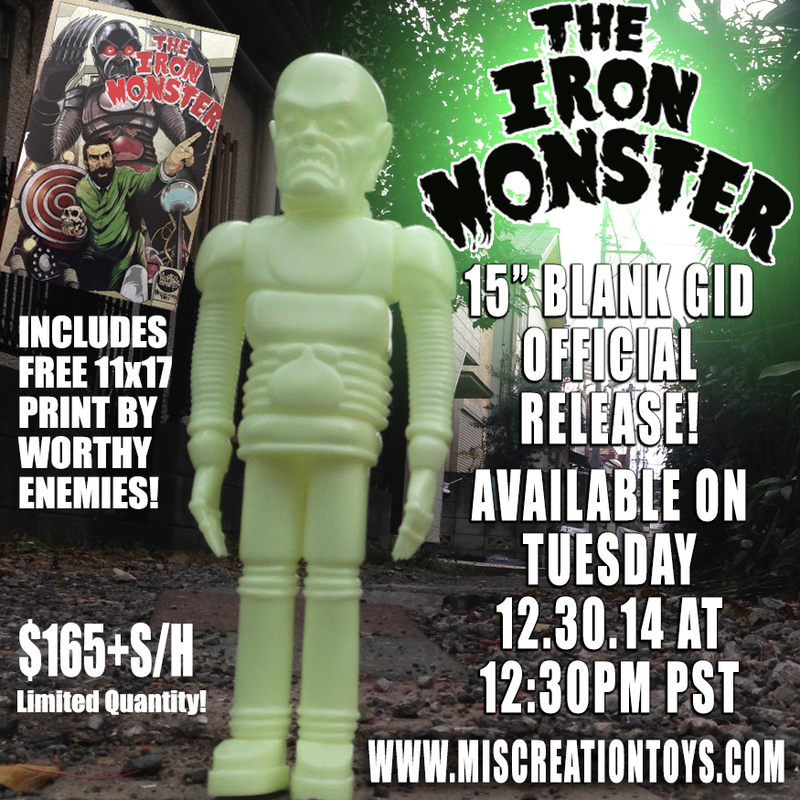 Currently available in super-limited quantities right here, we suggest interested parties act quick to avoid disappointment!